Sue Walker curated a small exhibition at the Design4Health conference at Sheffield Hallam University 13–16 July 2015. 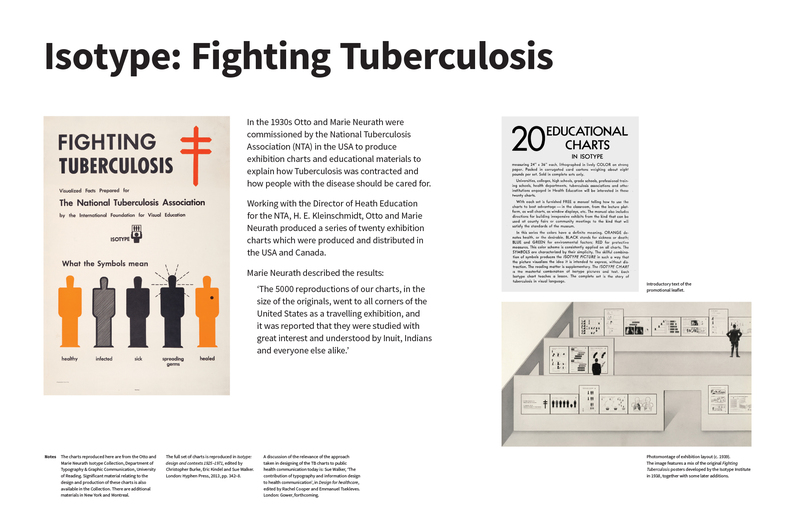 ‘Isotype: Fighting tuberculosis’ showed full-size examples of some of the 20 ‘educational charts’ produced in the 1930s for the National Tuberculosis Association in the USA. The charts were well-received. Conference participants, comprising academics and health practitioners, commented that both the content and the style of presentation were relevant today. This entry was posted in Uncategorized and tagged health, impact, Isotype. Bookmark the permalink.